Grand Supicha City Hotel, Phuket Thailand!! We promise you’ll get our lowest prices on our site - or you’ll get a free night. 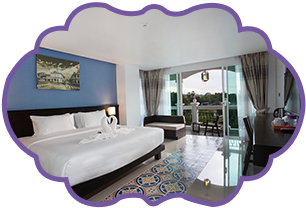 Get Much More When You Book Directly With Us..
A Resort in Phuket Town. 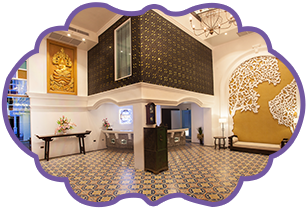 Grand Supicha City Hotel is a new brand 4 stars, boasts design contemporary Sino-Colonial theme in Phuket town. 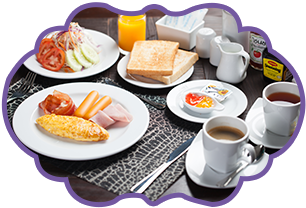 Comprising 70 guest rooms with standard facilities that we focus on providing the comfortable accommodations convenient in Phuket at an affordable price. Enjoy the peace and tranquility of our resort while staying in either one of 70 our private room with your own balcony surrounded by peaceful. With conveniently located only 10 minutes to Phuket Town area, near to shopping, entertainment venues, dining areas, government offices and cultural Phuket historic town. 40 minutes to Phuket International Airport, and 5 minutes to Rassada pier. Whether on holiday, honeymoon, family outing, tour or business, this resort in town is a perfect getaway. The Supannahong Restaurant (Thai and International) relax and indulge on our delicious menu including Thai Southern cuisine known for its rich tastes and fresh ingredients. Reserve your room now for a wonderful privacy vacation at a relaxing price.